If you've never ridden a motorcycle, talk to someone who does so regularly about what it feels like. You'll likely hear a response that includes words like "immortal," "god," or "f*ckin' awesome." Of course, some bikes feature more of all three than others, and since you're not actually immortal, it's probably a good idea to get started driving these 10, since they're all motorcycles that any bike-loving person should ride at least once before moving on. On one hand, this is the antithesis of an exotic bike, but on the other, it is the most heavily produced vehicle of all time, and by a wide margin. Variants of Super Cubs are what you see whenever you watch clips of massive motorcycle gridlock in Southeast Asia, and it keeps entire countries moving. It's simply too important not to try, if only once. You may have noticed that the Bonnie is one of the most popular choices when people are building cafe racers today, but even if it weren't, it's a classic British bike full of the kind of character you only really get from the early '60s. Suzuki built the Hayabusa, aka the GSX1300R, for the singular purpose of becoming the fastest production motorcycle. And it was, ultimately coming within a hair of 200 mph. That was enough to scare European governments into action, and manufacturers agreed to a 186 mph governor for all bikes. Few vehicles in history have had this big of an impact. Is this the coolest motorcycle, or the fastest? Obviously not. It is, however, probably the most comfortable for super long rides and multi-day road trips. Realistically, what would you rather ride on a week-long jaunt down Route 66? If your goal is to find a ride with more vintage Americana oozing from it, good luck. Back in the 1920s the Scout was used from the army to motorsports, and pretty much everything in between. The early Guzzi LeMans were the epitome of Italian bikes. It's not enough that they oozed as much charisma as anything else on the road; they were also pretty damn quick, with more than enough power to impress people during the ride to the next coffee shop. Carrying the flag for more modern Ducatis, the 916 is somewhat of a connoisseur's bike: it's well-engineered, compact, and emphasizes riding dynamics over flashier elements like peak power. Ultimately, that led to the racing variant claiming more than its share of world championships. For years, Husqvarna was the go-to bike for anyone wanting to go as fast as possible on dirt. 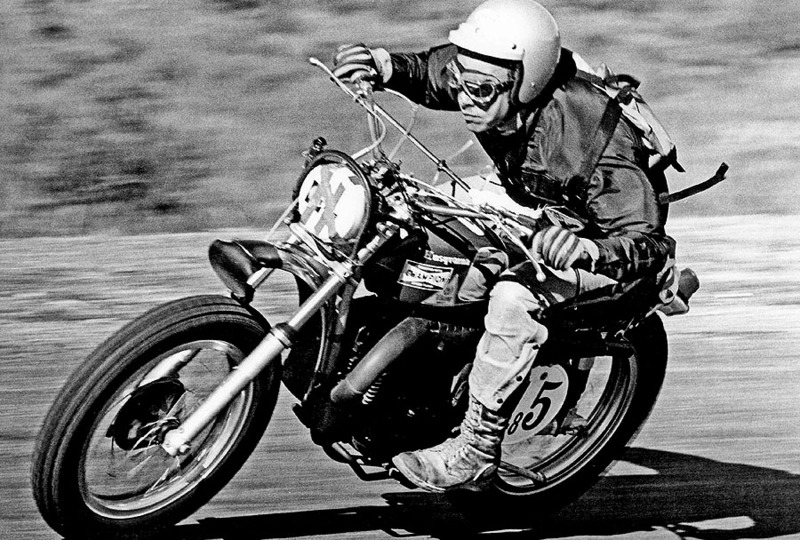 The 400 Cross made the Baja 1000 its personal playground, before becoming immortalized in the 1971 documentary On Any Sunday (shown) which followed a bunch of motorcycle riders, including one Steve McQueen, and his Husqy. Panheads take their name from the shape of the valve cover, but that's not important here. Easy Rider. That's important. Take your time and think of another bike that's more evocative of American culture, and you'll understand why it's critical that you get to experience one. The R60 was originally designed to carry a sidecar, so it has a pretty beefed up frame. You want to talk about rugged? The R60 was the bike of choice for an incredible 95,000 mile road trip from the northern reaches of Alaska to the southern tip of Argentina. Aaron Miller is the Rides editor for Supercompressor, and can be found on Twitter. He's trying to wrap his head around a 95,000 mile road trip.